I am ashamed to say I have never watched The Little Mermaid all the way through. There are actually a lot of Disney films I’ve never watched (sorry Mickey) – but none as on trend as TLM and if Ariel was around for real I’m sure she would highly approve of the mermaid trend. Like a magpie I am drawn to all things shiny, so this trend full of iridescent skirts, holographic heels and pastel washed hair has me a bit hot under the collar. Don’t get me wrong, I like a girl with mint hair as much as the next person, but I don’t think I’d attempt this look myself..probably because the last time I went blonde ended up with half my hair falling out (true story). 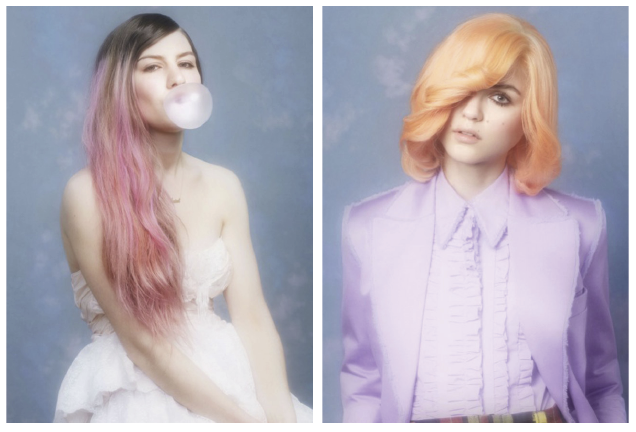 But super ‘cool’ salons such as Bleach London are now infamous for their rainbow dyes. Looking through their website at the endless pictures of pretentious teenagers with barbie pink hair, I found their ‘Prom Zine’, which I actually rather love. 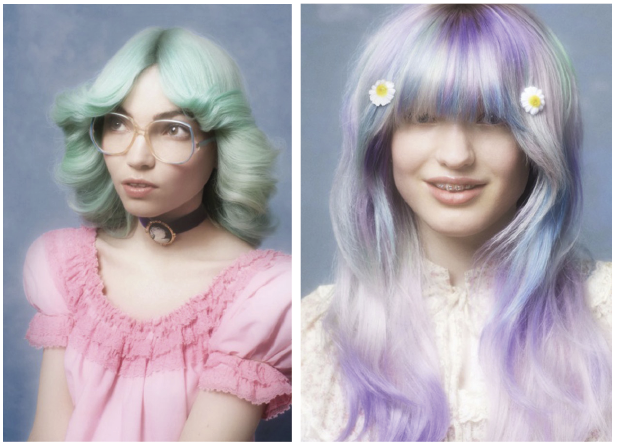 Styled like an embarrassing 80s school year book, the girls hair are dyed colours that My Little Pony would be proud of. I’m sure you could recreate these looks at home, avoiding the ridiculous hairdresser costs and attitudes (although you won’t get those delicious little biscuits..) and Bleach even sell their products in the larger Boots stores. This would probably involve you bleaching your hair (agh) then toning it, then adding the colour. This would cause all sorts of problems for us dark haired gals, so I think I’d only attempt if you’re mousey or lighter. 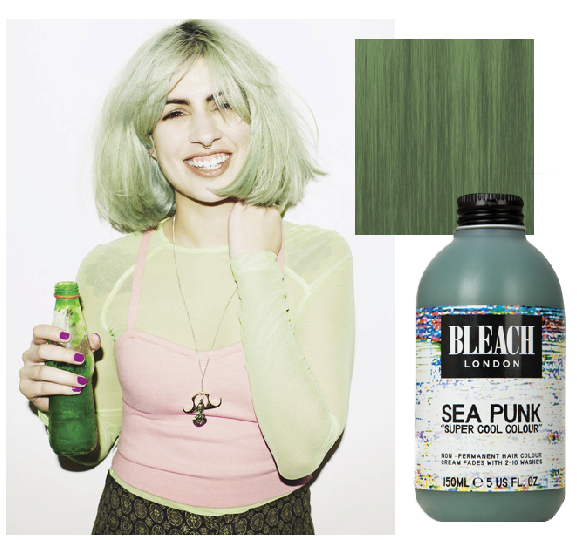 This ‘Sea Punk’ green is a beaut though. Although it has now become normalised by celebs such as Kylie Kardash, and Katy Perry; I have always loved the idea of green hair since watching ‘Ghost World’. 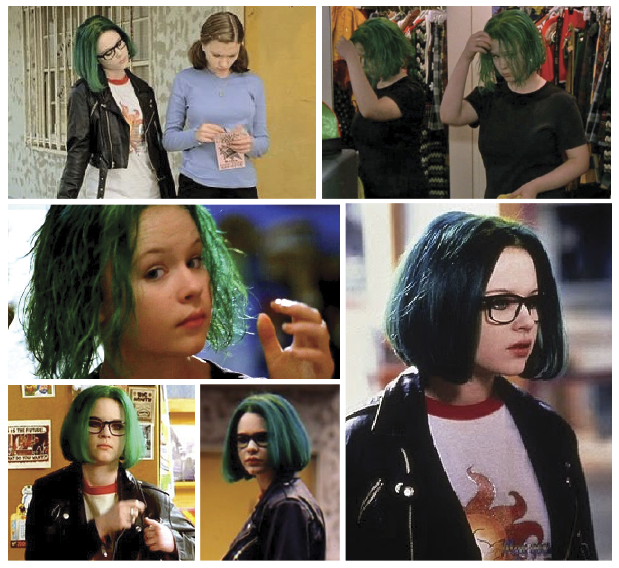 Thora Birch is a mega babe, and the green hair just made her 10x better. There are so many beautiful iridescent and holographic bits around that all shout Mermaid to me. I think its the pearly colours and shimmer that remind me of my favourite books as a kid – The Rainbow Fish. 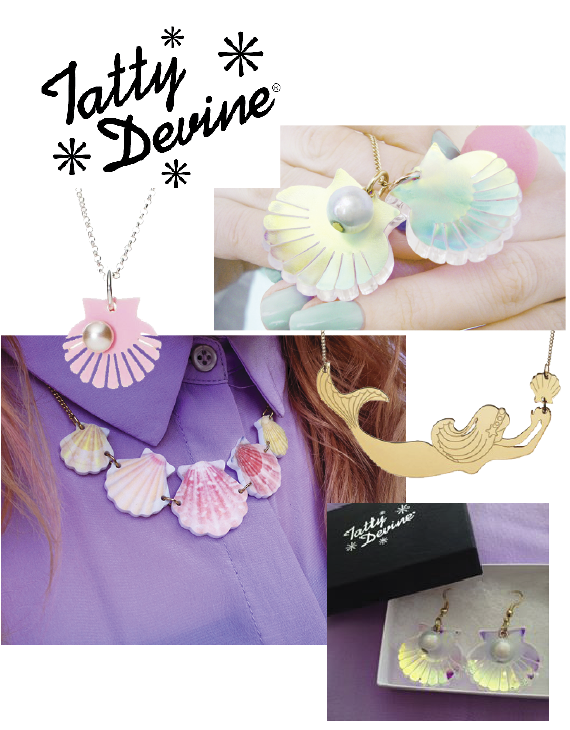 One brand that has created a Mermaid dream range around this theme is Tatty Devine. Tatty is one of my favourite companies, and I had the pleasure of working there for a bit a couple of years ago. All their collections are fun and quirky and this one is no different. All the jewellery is hand made in either their Kent or Shoreditch studios and hand lovingly wrapped and packaged if ordered online. I was based in the Shoreditch office, and utterly loved my time there. It was such a fun company to work for and gave me a real insight into how a jewellery company works (it was also a plus that someone in the office was a keen baker and brought in the most amazing cakes!) The days were busy and my desk looked like a bomb site, but working in such a creative environment was something I really enjoyed. Long live team Tatty. Here are some of my fave pieces, and a little edit of other great Mermaid-esc finds.. So if you’re going to have coloured hair, shimmering clothes and pearlescent jewellery, you may as well complete the look with some blue skin. Anyone, blue skin..? No…? Oh well suit yourselves. If you haven’t already seen it, MS MR (awesome New York based duo) member Lizzie rocks the blue skin look in their video ‘Hurricane’, watch the video here. This teamed with her candy floss hair is just such a great look. It’s kind of like hipster smurf. Which is obviously always going to be a good look..